Hail O decided to have some fun with their customers on their 3rd Birthday. 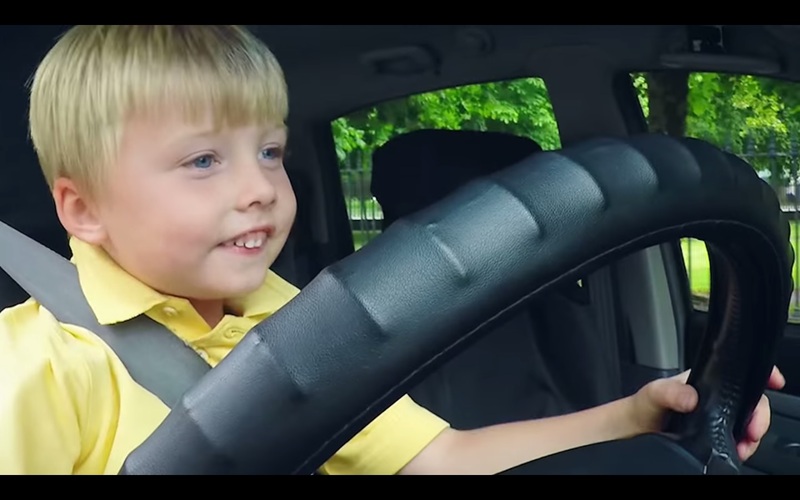 By putting a 3-year-old behind the wheel – probably the youngest taxi driver you’ve ever met. Twin brothers, Kai and Kal, pleasantly surprised the passengers in Ireland when they scheduled a taxi ride via the Hail O App. While they appeared to be driving the taxi, they were sitting on the lap of the vehicle’s actual driver, their father, who was disguised as the driver’s seat upholstery. The headrest material over his face was made of a thin mesh that allowed him to see and to give cues to the boys. Guns or Knives, the agency behind this idea, managed the hidden-camera stunt. And guess what, customers were rewarded with Hail O mileage credits and the chance to wins trips based on his the distance traveled using the service. Yet again a brilliant idea backed by the willingness of the client to push the creative boundaries. It beautifully drives home the child-like enthusiasm of Hail O by sharing a light-hearted moment with their customers. It certainly makes you smile and want to be in that taxi.